In my practice I always place a huge emphasis on eating healthy, organic, clean, free range, grass fed foods. The biggest objection i get from my clients is that they cannot afford to eat healthy. Soooooo...........I'm gonna give you 10 tricks to eating healthy on a budget so you don't have that excuse anymore. Don't buy pre-packaged salad mixes! Pre packaged salad mixes are sure a convenience but I assure you that the convenience comes at a price. Most always you can purchase 2-3 heads of lettuce for the price of 1 small bag of packaged salad mix and the head lettuce will be fresher and last longer. It takes about 1 minute to rinse and chop lettuce so is it really that much of a convenience after all? Grow your own lettuces and vegetables. I grew romaine, kale, chard, and other greens for about $1 each and the plants lasted me for months. You can grow in pots on your patio and don't need much space at all. A trick we had to extend the life of our lettuce was instead of cutting off whole head we would take off the leaves we were going to use for our salad that day and it would continue to grow. Buy shelf stable foods in bulk. There are great deals on bulk foods at a local co-op or even Costco these days. Grains, nuts, seeds, baking flours, beans, lentils, rice can all be bought organic in bulk and store well for long periods of time. Look for sales on healthy organic shelf stable staples such as olive oil, coconut oil, spices, jarred tomatoes, etc. and frozen meats and veggies and stock up for future use. Make inexpensive vegetables, beans, and potatoes the main event in your dish and use sparingly the more costly items such as meats and other animal proteins. Use leftovers to create a whole new meal the following day. If you bake a chicken use it for that night's meal and then take the carcass and any leftover meat on the bones to make a hearty soup filled with veggies and potatoes for the next nights dinner. A little grass fed ground beef goes a long way. Instead of using a pound of beef to make 4 burgers how about adding chopped onions, spinach, quinoa, and fresh herbs and spices to the burgers as filler to double your servings. Use 4 burgers for your family dinner and make and freeze the rest of the patties for another night during the week. Buy what's in season. When food is in season and from a local source it is much cheaper as quantity is more readily available and there are less transportation costs not to mention much fresher and healthier. Look for online deals for large bulk and split the cost with a group of friends. This can sometimes cut the cost of certain items in half when you buy in large quantities. Plan meals ahead of time so that nothing goes to waste. You can use similar ingredients in completely different meals. Hopefully this helps you out a little bit. I know that many of the healthy foods these days come at a cost but remember that unhealthy foods come at a cost too and that cost could be your health. Spend money on the things that truly matter and cut costs on the things that don't. I personally prefer to feed my family well than to spend money on other things. I make the sacrifices in places that don't really matter to me such as getting my hair done, nails done, belonging to a gym, going to the movies, eating out, excess cable channels, etc. What is important to each person will differ significantly and that's perfectly ok. Just figure out what is really important to you and make cuts in the areas you feel are best to fit a healthy diet into you and your family's life. 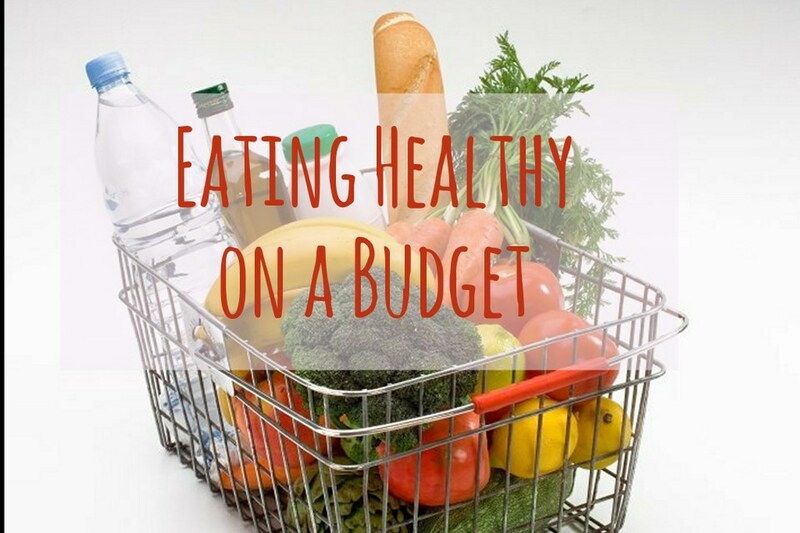 And if cutting costs in other areas are not an option then following as many of these tips as possible will help ensure that you are able to include healthy food into your diet.